By reading and signing, you hereby acknowledge that you have read, understood and agree to the terms and conditions of this rental agreement. You also understand that you are responsible for payment of all deposits and charges as outlined in the agreement. NOTE: You must be 25 Years Old to reserve a home with StayAmelia.com. StayAmelia reserves the right to immediately terminate the tenancy if the Guest violates any part of this agreement and risks the automatic loss of security deposit, under the Fla Inn keepers Act. Taxes: A 11% sales use and lodging tax will also be applied to the rental. StayAmelia.com Rental Agreement and Reservation Confirmation must be read, signed, and returned to us within seven (7) days from the date the reservation is placed along with your Initial Payment. Please realize that reservations will be canceled if we have not spoken with you within that time period or if payment is not received within the required time periods listed. All reservations made within thirty (30) days from arrival date require full payment at the time the reservation is placed. When a reservation is made you can provide your credit card number and we will make the reservation for you or you can book online. Advanced Deposit and Final Payment An Initial Payment of 50% of the Total Rental Balance is due within seven (7) days of making your reservation. Final Payment is due 30 days prior to your arrival date, after that date, we cannot accept personal checks for Final Payments. We will send you a request for final payment for your final payment, so please be sure to mark this date on your calendar. Each unit is designed to accommodate a certain number of guests. The numbers of guests permitted in the unit should match the number on your confirmation. If you decide to bring extra guests at the last minute, you will be charged the full rental cost of the unit. Please notify us ahead of time if the number of people in your party has changed. This Security Deposit Protection plan covers unintentional damages to the rental unit interior that occur during your stay, provided they are disclosed to management prior to check-out. The policy will pay a maximum benefit of $500. Any damages that exceed $500 will be charged to the credit card on file. If, during your stay at one of our Rental Properties, an Insured Person causes any damage to real or personal property of the unit as a result of inadvertent acts or omissions, the Insurer will reimburse the Insured for the cost of repair or replacement of such property up to a maximum benefit of $3,000. Full details of the Security Deposit Protection coverage are contained in the Certificate of Insurance or Insurance Policy. The Security Deposit Protection can be purchased up to, and including at, check-in. By submitting payment for this plan, you authorize and request CSA Travel Protection and Insurance Services to pay directly StayAmelia.com any amount payable under the terms and conditions of the Security Deposit Protection. This plan is mandatory on every reservation. This Security Deposit Protection does not cover intentional damage, theft, excessive cleaning, unintentional and incidental damage exceeding the amount of coverage purchased or any damage or flea infestation caused by a pet. Any material damage to the Rental Property will be charged immediately to the Guest?s credit card. Guest, in signing below, assumes full responsibility for any items damaged due to misuse or negligence or action on guest`s part, except in the case of normal wear-and tear reported to StayAmelia.com within 24 hours of check-in, and for any items found to be missing. 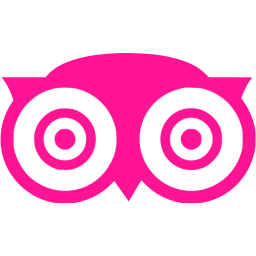 Guest is responsible for notifying StayAmelia.com immediately upon check-in if the Rental Property is found in less than good condition or any damage is noted. If damages occur during your stay, please notify us immediately. We ask our guests to report any breakage or damages to us upon occurrence, prior to check out and settle the matter prior to leaving. If there is any damage to the Rental Property or its furnishings, the Guest does agree to be responsible for the cost to repair any damages done by either Guest or Guest family. All Rental Properties are inspected after each Guest by a property inspector and reported to StayAmelia.com for appropriate billing. Guest's personal property and vehicles are not insured by StayAmelia. StayAmelia is not responsible for any loss or theft both inside and outside the units. The Rental Agreement is a legally binding agreement between Guest, StayAmelia.com and the Property Owner. Your reservation and signed Rental Agreement bind you to a specific property for a specific period of time. There should be no expectation of refunds or relocation because you are disappointed with the property you have rented or in the event that something associated with the property is not working to your satisfaction. Unlike a hotel, we cannot relocate you without specific authorization from the Property Owner. We will make every attempt to correct any problem that arises during your stay in a timely manner. There will be no refunds for mechanical failure of items such as air conditioner, TV, dishwasher, washer/dryer, or other such items. How to cancel a confirmed reservation: Call us as soon as you know that you will be unable to keep your reservation in order to give us as much time as possible to re-rent your reserved property. We require written notification of cancellation signed by the leaseholder (the person in whose name the reservation has been made). Notification can be delivered by mail, fax or email. If your cancelled reservation is successfully re-rented and confirmed, you will be refunded the rent and taxes and other fees except for a $150 cancellation fee and $30 processing fee. StayAmelia.com makes every effort to make sure guests are placed in the specific unit contracted, the owner of the unit may sell the property, make it unfit for rental or otherwise make it unavailable. Should this occur, StayAmelia.com shall make every effort to find suitable replacement accommodations for the same period without liability for breach of contract. Rates at the replacement property may vary from the original property that was reserved. If replacement accommodations cannot be found, the renter shall be given a full refund of any fees and/or deposits collected. Regardless of the final disposition, StayAmelia.com will be limited to the refund of any monies collected. StayAmelia. will have the rights to enter the premises pursuant to state law; (1) In case of emergency, without prior notice. (2) to make necessary repairs, alterations, improvements, supply necessary or agreed services, exhibit the premises to prospective or actual purchasers, mortgagees, Guests, workmen, insurance agents, or contractors. The premises are to be used exclusively for residential purposes. No retail or other commercial use of premises is permitted. The premises are not to be used for meetings, receptions or for parties in excess of 10 people over the number of registered Guests. Overnight accommodations are restricted to the number of Guests agreed upon in advance and stated in this agreement. Any unregistered Guests shall be charged an additional $50.00 per night, per person for non-disclosure of the fact. No Parties or Under Age Drinking will be allowed. The Guest agrees to indemnify the owner for any damages to or loss from the rental house, grounds, furnishings, appliances, household items and any other of the Owner's property resulting during the Guest's rental term, normal wear and tear excluded. The Guest further agrees to indemnify and hold the owner and the rental agent (StayAmelia.com, LLC) harmless from any claim or liability for any loss or damage whatsoever arising from, related to or in connection with the rental of this rental property, including but not limited to any claim for personal injury or damage or loss of property which is made, incurred or sustained by the Guest or other occupants or invitees of Guest, excepting if such damage or loss results directly from the willful misconduct or sole negligence of the owner or the agent. Nether the owner or the agent are responsible for any of the Guest?s or other occupant(s) valuable, cash or other property during the rental term or thereafter left at the rental house. Upon termination, the Guest will: (1) completely vacate the premises and any parking or storage areas used by the Guest; (2) leave keys in unit or return them to the on-site office, (3) leave remote controls and garage door openers in the unit, (4) leave all furnishings in the same condition as received. StayAmelia reserves the right to immediately terminate the tenancy if the Guest violates any part of this agreement and risks the automatic loss of security deposit. under the Fla Inn keepers Act. The parties acknowledge that this Agreement expresses their entire understanding and agreement, and that there have been no warranties, representations, covenants or understandings made by either party to the other except such as are expressly set forth in this Agreement. In the event that either party is required to retain the services of any attorney to enforce or otherwise litigate or defend any matter or claim arising out of or in connection with this Agreement, then the prevailing party will be entitled to recover from the other party, in addition to any other relief awarded or granted, its reasonable costs and expenses (including attorneys? fees) incurred in the proceeding. Both parties agree to comply with all applicable federal, state, and local laws and regulations in performing their duties. In the event that any provision of this Agreement is found invalid or unenforceable pursuant to judicial decree or decision, the remainder will remain valid and enforceable according to its terms. Sea turtles are an endangered species, and are protected by law. Amelia Island is a nesting site,and has a active Turtle Watch Program. Nesting season in our area typically runs from May 1 through October 31. Nests are clearly marked and should not be disturbed. Our Island's police should be contacted if you see anyone disturbing a turtle or nest. Keys- each home will be given 2 keys. A replacement charge of $20 per key will be applied to lost keys. Left Behind- If you want the items returned to you I will take them to the UPS shipping center and they will call you to get your payment info for shipment. 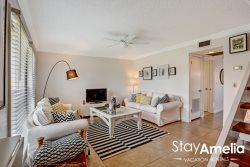 We want all of our guests to enjoy their stay on Amelia Island with StayAmelia.com, LLC. In order for your visit to be enjoyable PLEASE follow the rules listed below. Under the zoning and other ordinances of the City of Amelia Island, it is unlawful to advertise or otherwise promote, or to hold out for availability, any location that has not been specifically approved as a special event location for conducting weddings, reunions, or similar events. Such activities are not permitted uses under the Land Development Code, 4-050. This is true for bed and breakfast establishments as well as residential structures. Procedures for seeking approvals of special event locations can be secured from City Hall on properties located within appropriate zoning districts. Should you have any questions, please contact the Building and Zoning Department of the City. STAYAMELIA.COM has set and published occupancy & parking limits for every unit and strictly enforces these limits. You can only have 2 cars at the property unless you have been approved in writing by StayAmelia.com. No Campers, Boats, Trailers or other Recreational Vehicles are allowed without written approval by StayAmelia.com. The number of available off-street parking spaces determines the Parking Capacity. StayAmelia.com represents a few properties which will allow a small family gathering. The Maximum Occupancy listed as "Property Capacity" is determined by the bedding provided in the Rental Property and/or the limit set by StayAmelia.com and the Owner of the Rental Property. All gatherings must be approved in writing prior to arrival and may require additional fees. Please consult a StayAmelia.com Rentals representative for further information and availability. Absolutely No House Parties! and No Kegs. House Parties are strictly forbidden and overcrowding is not permitted. We strongly advise you to not jeopardize your family and friends vacation by overcrowding or noise violations. THIS APPLIES ONLY TO THOSE HOMES THAT HAVE THESE ITEMS. NOT ALL HOMES FURNISH THESE ITEMS. Beach Towels - a $25 charge for each beach towel not left in the house. DVD's - $20 charge for missing movies. Cooler - $50 charge for missing cooler with wheels. Beach Cart - $75 charge for missing beach cart. Do not rewire or reprogram the TV's or DVD players. If a tech has to be called to the rental property after you check out because the TV or DVD has been rewired or is not functioning you will be charged for the for the service call. This agreement will be governed by the laws of the State of Florida, and shall be interpreted, construed and applied in accordance with the laws of the United States of American and the State of Florida. I hereby accept the above assignment and subject myself to all the covenants therein contained. I fully understand that this assignment binds me to comply with all the terms and provisions of this agreement. *Must be signed by Guest Name on Reservation.